Jean-Baptiste Quéru, Post-Nexus 7 Factory Image Debacle: "I'm Quitting AOSP"
A little bit of connecting the dots has revealed that Qualcomm is the reason behind the new Nexus 7's lack of factory image / driver binary support. This has long-time AOSP maintainer Jean-Baptiste Quéru pretty upset. 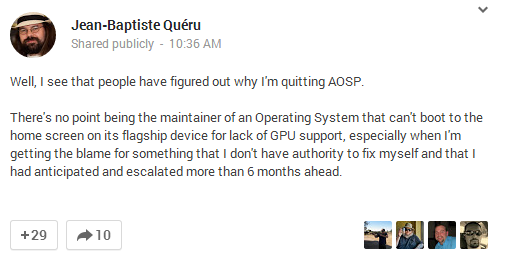 Upset enough that he is "quitting AOSP." It's not clear if this means JBQ is quitting his job at Google (though the fact that he even wrote this kind of suggests he may be quitting / has quit), or that he's moving to a different part of the company / Android group. 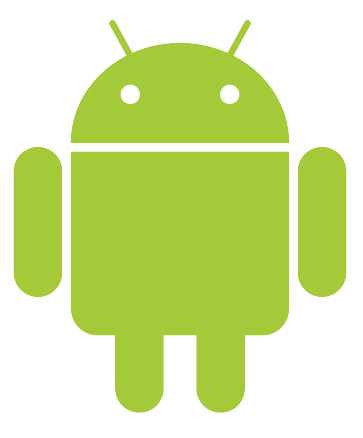 Either way, a much-loved member of the Android community, particularly the modification / development / open source types, seems to be departing. A sad day, indeed. This also clarifies the issue more precisely: the GPU. Qualcomm's Adreno GPUs are an integral part of its chipsets, and it sounds like the company isn't too keen on opening that chip up, for whatever reason. What does this mean for AOSP? It's hard to say at this point. We've reached out to JBQ for any additional commentary he may be able to provide. Regardless of the reasons, JBQ, you will be missed.